The Ministry of Foreign Affairs has revealed their determination in ensuring the release of detained Nigerian students going through maltreatment in Turkey. The Ministry’s Spokesperson, Mr Clement Aduku, said this in a statement released to the press in Abuja. “The Ministry wishes to assure Nigerians that its leadership has ensured that adequate steps were taken here in Nigeria and in Turkey to uphold the well being of Nigerian students in Turkey. “The Ambassador of Turkey in Nigeria was summoned to the Ministry on three separate occasions during which the request for the closure of Turkish Schools was flatly rejected. 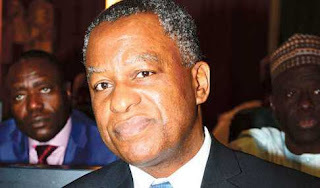 “The Ministry also rejected the option of returning students to Nigeria to obtain fresh Visas to enable them continue in the schools to which they have been transferred,” he said. “At this point virtually all the students have been released with the demand for fresh Visas dropped as to allow the students continue with their studies unhindered,” he said.